Say "Hi!" to new registered customers and promote your bestsellers / new / custom selected products. 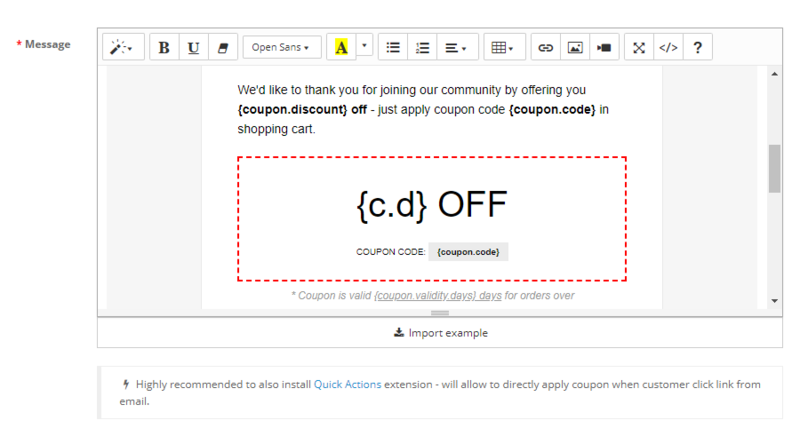 Optional, you can include discount coupon to invite them to place first order. When you send off a welcome email to a new customer, you're making a first impression on behalf of your brand. If this email looks good (or if some welcome gift included) then there's a big chance your customer will buy from you. We all know how important it is to make a good first impression. Right? 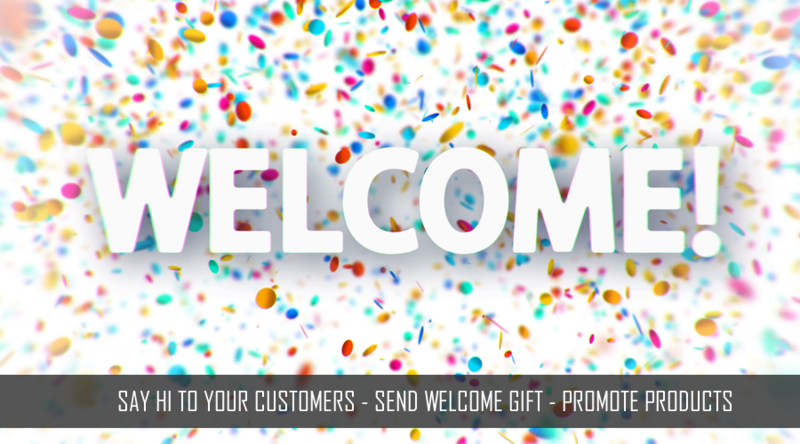 OPTIONAL, you can choose to include a "welcome gift" (discount coupon) in email. 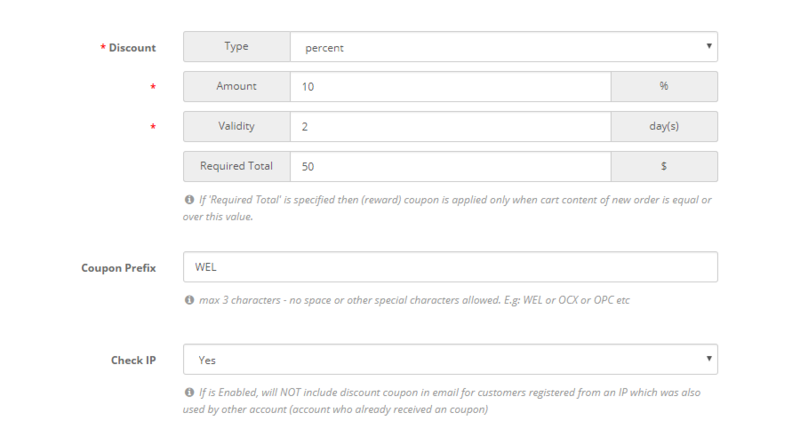 It's easy to set discount type / value or validity - just set this option in extension - and coupon is generated based on this rules. 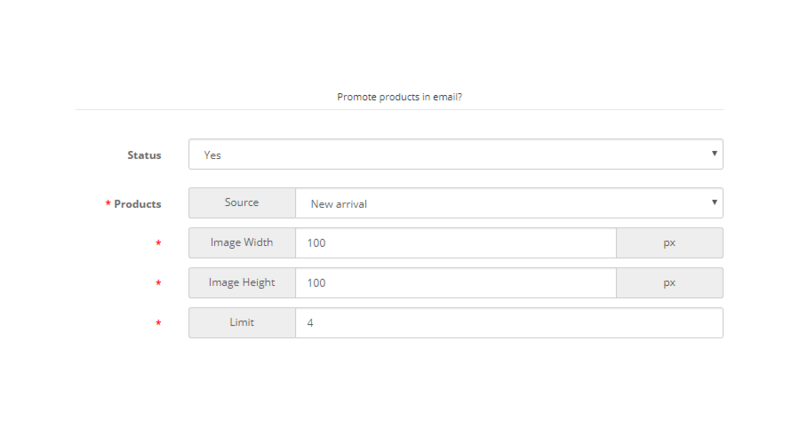 In welcome email you can promote your products. 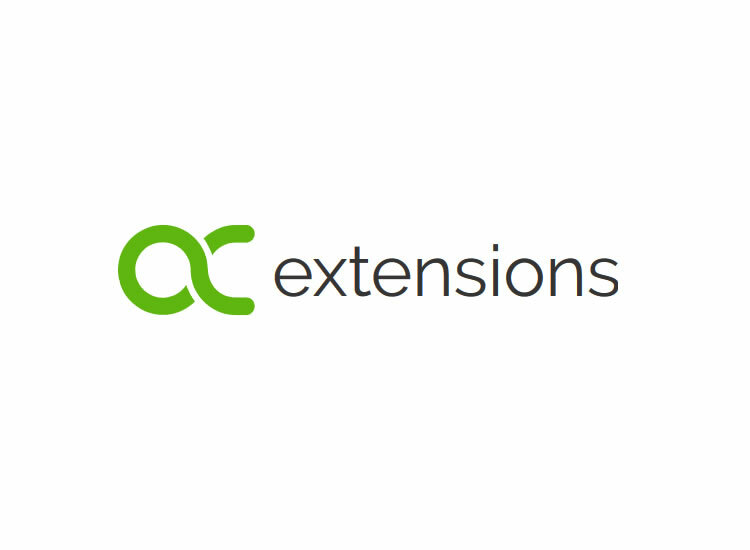 You can choose to promote bestsellers, new added products or you can specify which product to show (one by one). Selected products are automatically imported in email - not needed to update template to include them. HOW WILL LOOK WELCOME EMAIL? 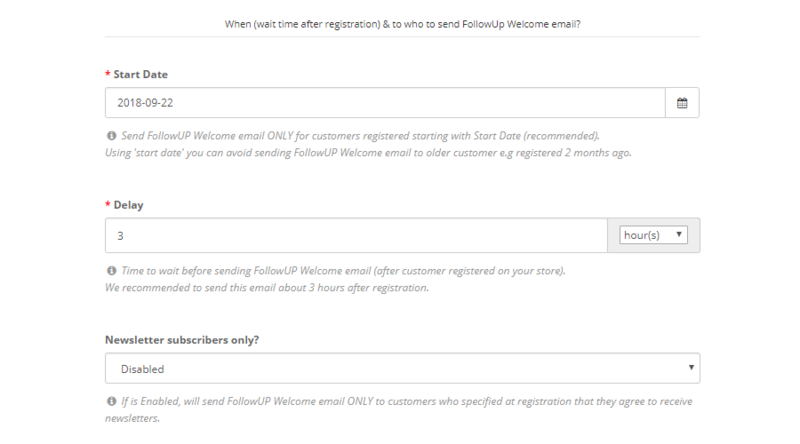 Most common answered questions about FollowUP - Welcome.